Protection is key when sending valuable items through the mail. Unfortunately, this typically means that having a stylish envelope won't be the case. But with our padded plastic shipping envelopes, your style won't be harmed and the material you put inside won't be either! 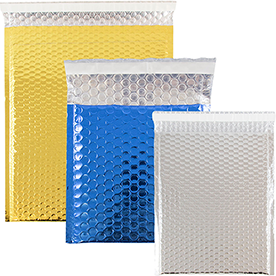 And with our seven separate categories of different bubble mailers, you will surely find the perfect color, size, and style for your occasion. 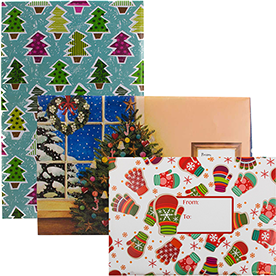 Need bulk padded envelopes, we have unlimited quantities! 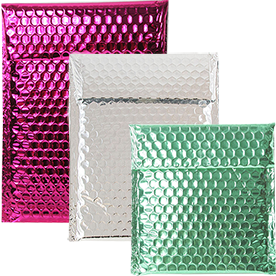 For an added shine, go for our Metallic Bubble Mailers. Available in five sizes and over five shades, you are sure to make a statement all the while keeping your content padded and safe inside. 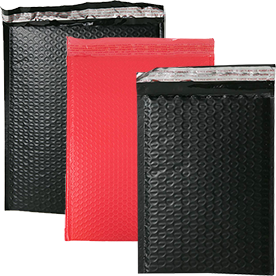 These awesome textured envelopes feature a secure peel and seal closure so you won't have to worry about anything falling out! Want a Velcro Brand Closure instead? Try our Metallic BubblopesÂ® - these are available in an even wider range of colors perfect for any time of year! Want to take it down a notch and have a more neutral look? 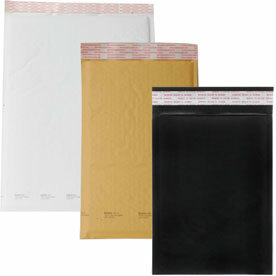 Our Black Matte Bubble Mailers and White Bubble Mailers will create a professional edge into your mailing, all the while padding your content nicely. Know exactly what kind of occasion you're mailing for? 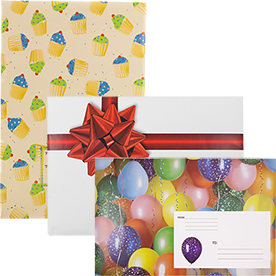 Our Decorative Poly Bubble Envelopes are perfect for graduations and birthdays while our Christmas Bubble Mailers are great for the holiday season. When you want to have that protection but stay stylish at the same time, shop our assortment of Bubbles!